(NaturalNews) The USA is reeling today from the explosive discovery that the Obama administration has been spying on all Verizon phone customers by surveilling their phone usage on a daily basis for the last several years. This is a wholesale, routine spy surveillance program that has "Big Brother" written all over it. It was first exposed by The Guardian which has published the secret court order requiring Verizon to hand over all phone call data on an "ongoing, daily basis." Under the Obama administration the communication records of millions of US citizens are being collected indiscriminately and in bulk -- regardless of whether they are suspected of any wrongdoing. 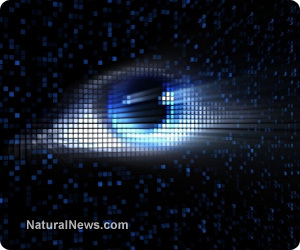 As background, please note that websites like Natural News and www.InfoWars.com have been warning people for years that the NSA was secretly listening to their phone calls and surveilling their bank accounts, emails and web surfing behavior. Giggling deniers in the liberal media have routinely referred to all this as a "conspiracy theory" while deriding those who warned about all this as "tin foil hat" wearing people or even promoters of "hate speech." Today Obama himself admitted the wholesale surveillance of Verizon phone users is, indeed, taking place. Yes, the NSA is vacuuming up all phone records on an ongoing, daily basis, completely outside of law. But it's a good thing, Obama insists. So what was Obama's justification for all this? The secret NSA surveillance is "a critical tool in protecting the nation from terrorist threats," he now says, almost as if the ghost of George W were speaking through Obama's lips. "From a civil liberties perspective, the program could hardly be any more alarming," said It's a program in which some untold number of innocent people have been put under the constant surveillance of government agents," said Jameel Jaffer, the deputy legal director of the American Civil Liberties Union. "It is beyond Orwellian, and it provides further evidence of the extent to which basic democratic rights are being surrendered in secret to the demands of unaccountable intelligence agencies." Exactly what data is being surveilled by the NSA? Yes, just from surveilling your phone, the NSA can acquire all this information about you. And this is just fine with Obama, who actually defends the program even though it is wildly illegal to conduct such surveillance domestically, against the American people. Oh, and by the way, the government's surveillance order specifically forbids Verizon from disclosing the existence of the secret order to anyone else. So while the government is secretly surveilling all Verizon phone users, the company itself would face criminal charges if it warned its own users about the surveillance. How's that for freedom in a "free society?" Don't ditch your Verizon phone out of fear of being tracked, however. The fact is the NSA has similar surveillance orders in place with all mobile phone companies. Every American who uses a mobile phone is being tracked on a daily basis by their own government. It's being done routinely, and the NSA is building a massive data center in Utah in order to be able to analyze, in real time, the actual voice content of all phone calls. Those phone calls are already being recorded and archived, by the way. That's been admitted by the FBI. But in the near future, the government will be able to analyze every phone call happening in real time, then flag "suspicious" conversations for possible action against the offending phone users. Oh, but giggling control freaks like Rachel Maddow have always insisted this was nothing but loony conspiracy theory talk. You can trust your government, she says. Because government would never do anything bad... like tapping all your phone calls. That's hate speech to even suggest such a thing! Wake up, people! The U.S. government is a criminal operation. Just in the last few months, we've learned that the Department of Justice secretly taps the phones of reporters and journalists. The IRS secretly intimidates and terrorizes selected groups based on their political speech. And now we learn the NSA has been routinely spying on us all through a super-secret surveillance program that means none of our electronic communications are private from the government. As Mark Rumold, a lawyer with the Electronic Frontier Foundation, said in a Guardian story: "This is confirmation of what we've long feared, that the NSA has been tracking the calling patterns of the entire country. We hope more than anything else that the government will allow a judge to decide whether this is constitutional, and we can finally put an end to this practice." Good luck with that. The abuses of government are already so far out of control that it's questionable whether we can reign in this criminal government with anything less than a full-fledged citizens revolt.